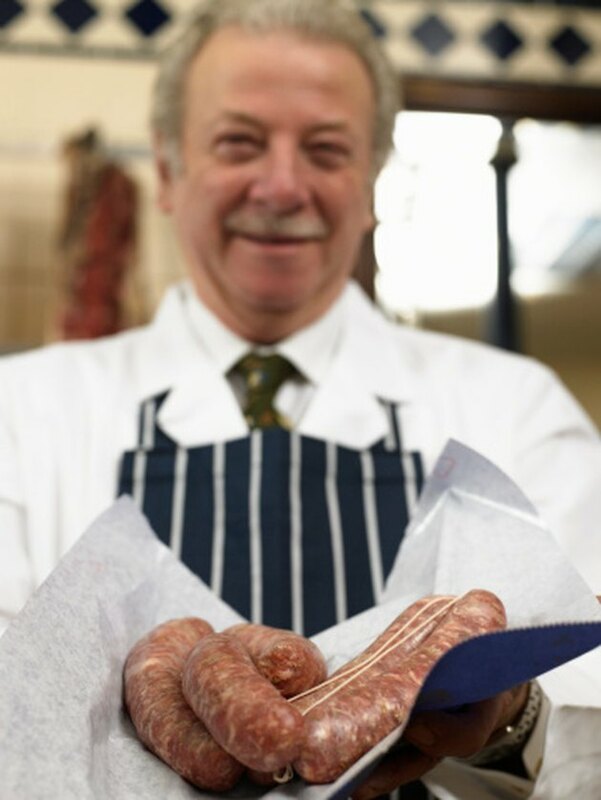 There are several varieties of sausage, from pork-based breakfast links to sausages made from blood, veal and even fish. Due to its cylindrical shape and thickness, it's easy to overcook the outside before the inside is done. Cooking the sausage with a bit of liquid actually helps the sausage heat more evenly because the steam heats all sides of sausage. The steam also helps keep the sausage moist. You can use the steam method for any style of sausage, but it works best for the link variety. Heat the frying pan to medium high. If you are using a low-fat sausage, add 1 tbsp. of oil to the pan. Add the sausages to the pan and turn them until they are brown on all sides. Reduce the heat to medium. Add approximately 1/8 cup of water to the pan. You need just enough water to form a thin layer on the bottom of the pan. Too much water will dilute the flavor of the sausage. Put the lid on the pan and let the sausages cook for 10 minutes, or until done. The sausages are done when they have a firm and slightly springy texture. If you have dinner sausages, steam them in beer or red wine. For fish or seafood-based sausages, add lemon or lime juice to the water, or use white wine. For breakfast sausages, add 1 tbsp. of maple syrup to the water, or use apple or other fruit juice.